As we know, Bioinformatics is the application of information technology and computer science to the field of molecular biology. Its main purpose is to increase our understanding of biological processes, which is why bioinformatics is constantly evolving and reinventing itself through new discoveries and technology. Some of the major research topics in the field of bioinformatics are sequence alignment, gene finding, genome assembly, drug design, drug discovery, protein structure alignment, protein structure prediction, prediction of gene expression and protein-protein interactions, genome-wide association studies and the modeling of evolution. Continuing our efforts to provide our readers with information that might be of much interest in the simplest possible way, as we have previously done with blogposts such as 10 Science PhD Related Blogs or 10+1 Medical Librarian Blogs. Fisheye Perspective: A Blog about Systems Biology, Bioinformatics, Chemoinformatics, Science and Life in general- by Abhishek Tiwari. 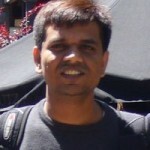 About the author: Abishek Tiwari shares his opinion on issues dealing with bioinformatics. He is a passionate follower of this subject as part of his research interests, studied B.Tech in Bioinformatics in India and is currently getting his PhD in New Zealand. Description: This blog includes interesting information on other topics such as: chemoinformatics, visual analytics, systems biology, and science as a whole. One of his latest posts, Availability decay of Bioinformatics web resources: Yes widgets can change it, talks about the inaccessibility of bioinformatics software and web resources and how the use of widgets can improve this situation. Description: We find this blog to be very helpful since Neil spreads his knowledge, research, and new findings to all of his followers. You can find useful information on database-related issues when visiting this blog, where you can also ask questions on topics he is currently or has previously been researching such as biotechnology and biomolecular sciences. About the Author: In Paulo Nuin´s website, www.genedrift.org, you can find information on this bioinformatician´s work, research, sample software tools, and more! Paulo Nuin, Brazilian born bioinformatician finds himself in Canada getting his post-doc. Description: In this blog, Paulo shares his insight on creating simple Python scripts. He is very well-recognized in the bioinformatics field and Python programming and was asked recently to review a Python Beginner guide from Packt Publishing. If you want to read more about it, take a look at Preview of Python Testing’s beginner Guide. About the Author: A blog mainly about bioinformatics and the semantic web. Pierre Lindenbaum is a brilliant bioinformatician from France who is very active in social networks. He also includes comics in his blog, which he has constantly been working on since 2005. Description: Yokofakun is highly recognized throughout the bioinformatics community through social networking tools. You can find a lot of information about software and databases, as well as overviews and tips on their use. A perfect example of his work is found in The Path from EgonWillinghagen to Neo4j, a graph API fro java: my notebook. We encourage you to follow this bioinformatics blog where you can find many interesting codes. About the Author: Dr. Sandra Porter, a bioinformatics teacher in Seattle and President of Digital World Biology, writes about things she is learning and discovering about in this field of study, and gives her opinion on current events that are relevant to the subject matter. Description: In her article, A ScienceOnline 2010 session mash-up review: Fact checking and trust, she analyzes whether Google sites contain misleading information while searching for biomedical terms. We encourage you to visit her site and share your personal opinion with her community. Your bones got a little machine (Pansapiens): Ideas are cheap, implementation is expensive; act accordingly. About the Author: Andrew Perry is an Australian structural biologist and bioinformatician, and this blog´s author. Description: Mainly dealing with structural bioinformatics and biology, the content found in his blog provides interesting information of current events taking place in these fields. If you are also interested in video games, Andrew writes web applications and games mostly through Python programming. During 2009, his activity took place mainly in Friendfeed and not in the blog itself. Here are the 2009 posts that never made it where you can find information on database services, API´s and much more! About the Author: A blog on bioinformatics and personal productivity by Flemish bioinformatician, Jan Aerts, who describes himself as “a genetics/genomics researcher who accidentally tumbled down the slope of programming and bioinformatics“. Description: Focuses on relevant database and software technologies, sharing his experience and opinion after using them. In one of his latest posts you can find information on the 1000 genome project, the kind of input data it includes, and how it would look in a database. About the Author: With about 5 posts per week, Professor Iddo Friedberg from the Miami University in Ohio, keeps us aware of all kinds of facts dealing with the scientific world using a humoristic approach. Description: Apart from science, this computational biologist also shares his thoughts on computers, music, and other topics. Iddo also recommends his favorite bioinformatics blogs. One of the blogposts we have enjoyed the most is A Sh*tload of Data , where he talks about understanding the role microbiomes play. About the Author: For all of you Python lovers! Chris Lasher provides information related to genetics, bioinformatics, and computational biology, which are all subjects he studies as a graduate student in Virginia Tech. Description: Check his blog out for tips on the latest technology in Python. About the Author: Manuel Corpas is a Spanish computational biologist who shares his knowledge through his personal blog where you can find information on many related subjects of interest such as biology, biotechnology, computational bioethics, synthetic biology and more, where we find he is “a lead developer of the DECIPHER database, a “DatabasE of Chromosomal Imbalance and Phenotype in Humans using Ensembl Resources”. We are delighted to see one of our fellow countrymen so active in the bioinformatics landscape! Description: You can find posts such as 10 Sarcastic Rules on how to be a Bioinformatician, which not only brings humor to what you are reading but gives you useful tips on how to be at your best. It’s a very reliable source of what goes on in this scientific world. About the Author: Thomas Mailund, a research associate professor at the Bioinformatics Research Center in Denmark, is very involved in the bioinformatics world and shares his experiences in conferences and workshops, which he attends, as well as other relevant information on hot topics in this field. Description: This blog can keep you up to date with information that is emerging in these sessions Mailund participates in. One of his latest posts, which we found to be quite interesting, deals with the evolution of health and medicine . Website: http://www.mailund.dk/ You can also visit his official work homepage for more information. About the Author: Brad Chapman, biologist and programmer, works in the biology department at Massachusetts General Hospital in Boston. His blog offers support to researchers by answering interesting biological questions, using his personal criteria. Description: In this site you can find blog posts where he shares information about database systems, genes, and other topics that can be helpful for biologists in their daily functions. About the Author: Dan Koboldt is a highly qualified biologist who works in a Genome Sequencing Center in Washington, and keeps us up to date with this subject through his blog, also sharing his many publications on this interesting topic. 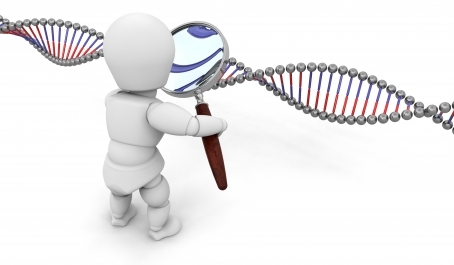 Description: This blog focuses on everything dealing with genomics, just like its name suggests Cancer genomics is one of the subjects he focuses on. In one of his most recent posts, Koboldt points out many concepts and issues that were addressed at sessions in Washington University, such as next generation sequencing and molecular techniques. About the Author: Computational biologist Keith Robinson has worked on genomic and proteomic technologies, currently working in Massachusetts in the cancer drug discovery field. Description: Through his blog, Robinson shares his findings by using peculiar examples, which will without a doubt leave you yearning for more. Read his latest post on the possibility of sending synchronous messages to actors…quite entertaining! Our #15 Top Pick for bioinformatics blogs is Bio Star available at http://biostar.stackexchange.com/ A site for finding information about bioinformatics, computational genomics, and system biology, containing hundreds of questions and answers on these subjects. It’s an extremely helpful tool, which allows you to interact with other individuals that might have your same interests and doubts regarding bioinformatics. We highly recommend it! After taking a look at this Top 15 Bioinformatics blogs in 2010, we encourage you to try the novoseek’s API, which we think is a great resource to enrich content, integrate data, and display information in your own format. We are eager to see what skilled bioinformaticians will come up with. The diarrheal outbreak in Far- and Mid-Western regions of Nepal in 2009 was a cause for genuine concern as it affected over 5,000 individuals and caused more than 200 deaths. In Jajarkot district alone, more than 100 people died in just four months, with over 400 affected. Scientifically speaking, a bacterial strain by the name of Vibrio cholera was identified in almost 39 percent of the 15 samples tested. However, V. cholera is not the only pathogen capable of causing severe or fatal diarrhea in developing countries, Nepal being an example. A number of other bacterial and viral pathogens have been implicated in diarrheal outbreaks worldwide. Those include a number of Escherichia coli strains, Aeromonas strains, Campylobacter strains, Shigella strains, Salmonella strains, as the most pathogenic ones. Campylobacter strains are sometimes associated with food poisoning in diarrheal cases while Salmonella strains are known to be mostly associated with foodstuff and in some cases with contaminated drinking water. Aeromonas species is primarily associated with water and is known to cause cholera-like diarrheal symptoms, thus increasing the possibility of false diagnosis of cholera when this may not actually be the case. In the Nepali context, V. cholera types have been implicated often in a larger number of occasions. The first report of cholera in Nepal was officially published for the years 1958 to 1960 by a medical doctor visiting Nepal. A total of 410 deaths over a three-year period in Kathmandu, with more than 3,000 affected, were reported. An outbreak of acute diarrheal disease in Kavre district during the year 2005 showed 31 percent cases positive for V. cholera. Using molecular (DNA/RNA of organisms as targets) method, a Japanese research group found that recent outbreaks in the country were mainly due to the V. cholera. A very recent study using latest molecular methods carried out by Center for Molecular Dynamics Nepal in collaboration with Nepal Health Research Council has found that diarrheal outbreak may be caused not only by V. cholera alone, but in a combination with other virulent pathogens, including Aeromonas species. To date, the detection of diarrheal pathogens in Nepal has relied almost extensively on microbiological (growth of pathogens in culture media), biochemical (by-products of pathogenic metabolism) and serological tests (immune response of host to pathogen). These methods may have been useful until the recent past, but with the advent of molecular technology, same cannot be said anymore. Thus, the limited laboratory facilities in the government sector appears to have prevented early diagnosis of the recent 2009 outbreak considering that the first presumptive identification of the causative agent was only carried out and made public three months after the start of the outbreak. This may have contributed to delayed treatment as it is hard for a clinician to effectively suggest the dosage and frequency of medication in outbreak situations without a proper screening mechanism in place. Many of the deaths due to diarrhea in Nepal have been caused as a result of dehydration resulting from loss of water and electrolytes (intestinal malabsorption or increased secretion). Replacement of these losses by oral rehydration solution is the mainstay of therapy for individuals with watery diarrhea. The treatment of diarrhea by water or water supplemented with salts (Oral Rehydration Solution) has been extensively promoted in endemic pockets in Nepal where the incidence of diarrheal outbreaks is high. However, in extreme cases, antibiotic needs to be administered. As an example, if we just take the case of two different causative agents of diarrheal outbreaks in developing countries, Vibrio species and Aeromonas species, the critical importance of prior diagnosis becomes apparent. The recommended medication for Aeromonas species is usually Cefixime, and most third-generation and fourth-generation cephalosporins (a family of antibiotics). However, in the case of V. cholera, Tetracycline is the usual antibiotic of choice, and in some cases, doxycycline, and other broad-spectrum antibiotics (another family of antibiotics). Thus, there are clearly differences in medication for the two different species and wrong medication for either could lead to delayed recovery and in the long term, development of antibiotic resistance by the pathogen. The principle of PDTC (Prevention, Diagnosis Treatment and Care) has been the guiding light in major disease management in Nepal and elsewhere. However, in the case of diarrheal outbreaks, the relative emphasis needs to be adjusted. While prevention remains the mainstay strategy to deal with the problem of diarrhea, the need for correct diagnosis has emerged as the most important prong of the ladder for effective and efficient management of diarrheal diseases and epidemics as well as prevention of such future outbreaks. One of the major reasons is that traditional methods require that the pathogen be grown (cultured) in the laboratory. A large number of pathogens cannot survive very well outside the human body and thus may not be detected although they are present in the body. Methods that do not require culture such as biochemical tests and serological tests take time and are not very indicative of the actual bacterial species present. Therefore, molecular methods are the future of any disease diagnostics. A comprehensive screening for presence of major pathogens, both bacterial and viral, can be carried out using this type of technology which is already available in Nepal. The use of these modern methods would not only result in rapid diagnosis, but also enable highly-specific identification of the actual pathogen(s) involved in a diarrheal outbreak. Therefore, modern methods of diagnosis should be explored, and utilized by the government health sector as well as external development partners working in health sector, for better management of future outbreaks. The cost of such diagnostic procedures which may be higher than traditional methods initially can be lessened tremendously if the capacity-building for molecular diagnosis is promoted within the country.